Happy Sunday! Welcome to Day 7 of our 12 Days of Christmas w/Nikki & I! Well, for today's project, I decided to create "GIFT TAGS" for you! 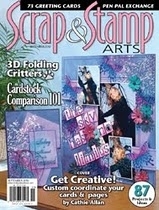 I designed 2 of them in my Gypsy Girl & the other 2, I used dies & my cuttlebug! These were FUN to make & I hope you enjoy them! Snowman GIFT TAG! You find that BEAUTIFUL Peachy Keen face HERE! Foam & Felt GIFT TAG! 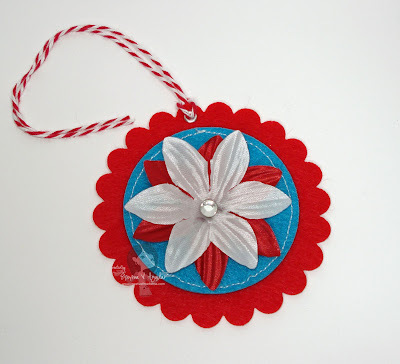 Felt GIFT TAG! w/Snow Flowers By "Imaginisce"
This is what the backs of all 4 Gift Tags looked like! "To" & "From" is from Pink By Design! You never cease to amaze me, your tags are spectacular and I so enjoy watching your videos!! I think your two favorites are the snowman and the tree because they have polka dots!!! Love your beautiful tags! I think your two favorite are the 2 your made with your gypsy - the trees and snowman. 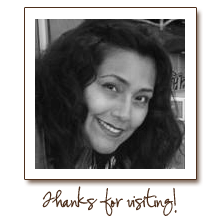 Thank you for sharing and for the chance to win! The snowman is my favorite. What a great face on him. 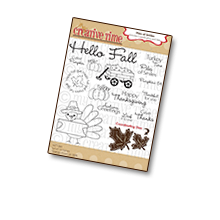 Emma, Thes are adorable, and I love that you did some with the Cricut, and some that we could do without. I love yje snowman he is adorable! I thought I had bought that stamp set during the PK sale, but I got my order the other day, and I didn't. :( I will just have to get them after xmas. I did want to thank you about some advice that you had put up on facebook. I felt overwhelmed by Paper Trey Inks website, and lost as to where to start. You cleared it up, and I got my order yesterday, and I can't wait to get into it. I was so surprised as to how inexpensive it was!! I guess I will haveto make another visit to that website after xmzs also. Thanks again, karen. I am saying the snowman and the tree tag. But I love all 4 of them. Thanks emma!! The tree and snowman tags are my favorite!! LOVE them! Love your beautiful tags..You did such a wonderful job..I'm still making Christmas cards to send out..wish me luck..
Would Love to win this cart.. I'm telling you that you and Nikki are putting me in the Christmas spirit with all your Wonderful ideas!!! Great gift tags. I love that little snow man he is adorable. Thanks for more great inspiration! OH my gosh...these tags are adorable!!! I think your favorites are the snowman and the Christmas tree!! I think your favorite are the tree ones and the snowman ones. You are so amazing! so nice and nice and easy no stress my kind of projects. Love the tag's you made today....let's see my favorite's would be the tree's and the snowman. 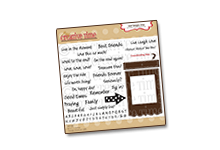 I am loving the 12 day's of Christmas especially waking up each morning and knowing I get to watch a video!! Thank's for doing this. Those are SO CUTE! I am going to say the your favs are for sure the snowman and the tree. Thanks for the chance to win such awesome prizes! I think your faves are the snowman and the snow flowers. I love them all. What a great giveaway again today. Thanks for the chance. I would have to say the snowman tag is your fav! My fav is the foam tag! CUTE! I think your favorites are the tree and snowman. They are all really cute, but I think you love the snow man because of the face, and the polka dots. I think the Santa is also your favorite because of the cuteness of him and the cartridge used. I think your two favorites are the Santa tag and the tree tag! I'm gonna guess the snowman...cause he has a cute Peachy Keen face! Such cute tags, my faverite are the snow,an and tree and I think these are your favorite to! Emma, those tags are sue cute. Love this idea! WOW Emma, those tags are absolutely beautiful, who wouldn't love to get them on a gift, they are a gift all by themselves. I think your two favorite tags are the tree tag and the snowman tag. All four tags are amazing. I just made a few tags myself! these are so adorable!! Thanks again Emma! 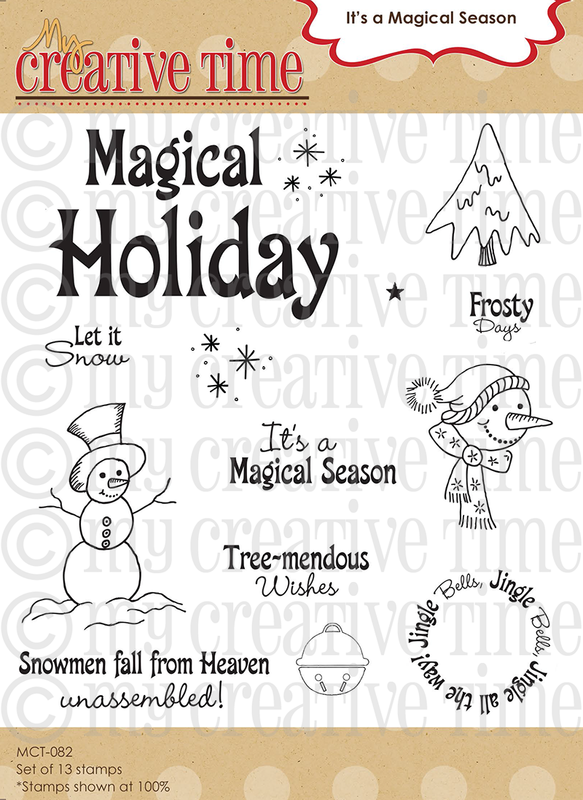 I think the snowman and the trees are your favorite! They are all adorable, and make me want to go make some tags now! They are alll adorable but I bet your two favs are the cute tree and the adorable snowman! your gift tags are so darling. I am going to have to make some this year! Adorable tags. I think your favorites are the snowman and christmas trees. Thanks for sharing. Terrific tags, I'm going to guess your two favs are the snowman and the felt with flowers :) TFS! You are so creative! I love making tags and need a Christmas Cartridge so badly. Thank you for the inspiration! I love the tags! They all are adorable!! HMM I think your two favorites are the snowman witht the peachy keen face and the foam and felt tag! Thanks for putting this together I have gotten so much inspiration from you and Nikki!! These are so cute! Homemade gift tags are the best! I'm guessing that your favorites are the snowman and the trees. Thanks again for all the fun. me(at)glorajean(dot)com. Hey Emma! Great tags! They are super cute! My guess for your favorite 2 tags are the snowman and the trees...you have both polka dots and faux stitching...2 of your favorite things! Great Tag ideas. I think your two favourite are the tree and snowman tags. They're my fave..
hummm the christmas tree and the foam tags---they are all so cute hard to pick 2 faves. I think your two favs are the snowman and the trees, which are also my two favs!! Thanks for sharing!! I love all your tags! I'm going to guess that your faves are the two made with your Gypsy Girl, because they both have polka dot ribbon, and we know how much you love polka dots! Thanks for sharing! The tags are beautiful. You are so creative. I love everything that you make. You always have such great easy videos.Love these tags. it turned out really cute. I used some PKS and CottageCutz. Take a look some time. I'm amazed at everything you make. I love it!! My picks would be the snowman and the foam and felt for being your favorite. Cute tags, they look like they could be the gifts on their own! Your 2 favorites have the polka dot ribbon so that would make it the snowman and the trees....but really how can you choose all are nice. These are sooo pretty! If you are like me, your favorites would be the snowman and the trees with the bling on them! Adorable! Winter Frolic is on my need list now instead of just being on my wish list! Emma, these tags are SO cute! If I had to pick 2 favorites, they would be the snowman one and the felt with the snow flowers. These are so pretty... they looks like you could even use them as ornaments! I just love these tags, and I think your favorite would be the first two that you designed on your Gypsy girl! Thanks again for the inspiration and the giveaway! I would guess your tewo favs are the ones with polkd dot ribbon..... very cute! I think you like the snowman and the tree -- and those are my favorites also. Beautiful tags. How cute are these, I have been making my tags, but they aren't nearly this cute! I know for sure one of your favorites is the cute little snowman with the peachy keen face. The other..mmm...Perhaps the Christmas trees because of the stitching and bling! I believe your two favorites are the ones with the polka dot ribbon, because we all know how much you love dots. Love these tags! They are all soooo cute! I think your favorite two are the first two because they are made with your gypsy girl and they have polka dots on them...which we all know you love both! The first two are definitely my favorite. I love how you made the little scarf out of the twine! It's the little added touches like that, that make your projects so awesome! Beautiful tags! I think your favorite ones are the snowman and christmas trees. They have the polka dots! Just love your tags. Thy are so crisp looking and very festive. Thanks for all the great ideas, you guys have been busy ladies. I think your two favorites are the two you cut out with Winter Frolic! They turned out sooooo adorable (the other two did also but these two are def my favorite) Everything just came together so nicely! I'm enjoying your videos so much!! I really, really, really, hope I win this cartridge I want it soooooo bad lol!! TFS! 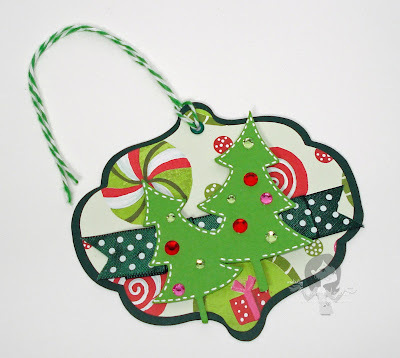 I think your 2 favorite tags that you made are the Foam & Felt and the Tree gift tag. They are great!!! Thanks for the chance to win!!! Your tags are beautiful, Emma! I really need to get to work on some tags. Thanks for the inspiration! Very cute tags!! I would have to say that your favorites are the Tree one and the snowman one!! Once again you have truly out done yourself.So super adorable. Which are YOUR favorites? I would have to say the christmas tree and the snowman becuase they have polka dots. Love Happy Lashes, that is on my wish list. These tags are SOOO cute. I always get stuck working on smaller pieces but you have inspired me with lots of ideas. Thanks for the chance to win! I think the Snowman and the Trees are your two favorites, because of the polka dots and the peachy keen face. They are my favorites too. Thanks for inspiring me. I think your fav. two are the first two ones you did in the cricut... I know for sure the snowman has to be in that list... LOL!!! Very adorable. The snowman is my fave. I love the bling on him. 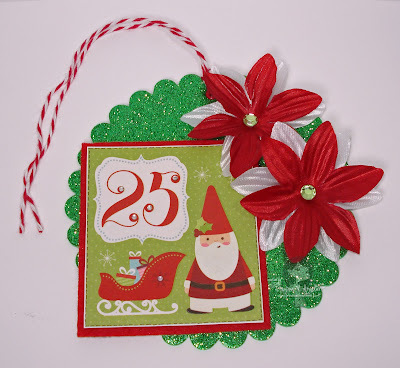 I think your favorites are the snowman and the tree tags because you used polka dot ribbon! They are really adorable Emma. I love the tags, one thing I love to make. Thanks again for the ideas love them all. Love your tags Emma!! I can't pick one for my fav, I like them all!! Awesome work!! I think the 1st two because they have your signature polka dots on them. What wonderful tags!! 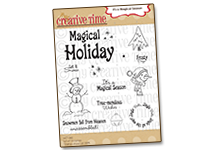 I think your two favorites are the adorable snowman tag and that glittery foam and felt tag with the santa. I'm thinking your favorites are the snowman & the santa & sleigh tags! The are all so cute!!! The Tags are so stinkin adorable!! I so want this cart!!!! TFS!! your tags are spectacular and I so enjoy watching your videos!! Your tags are simply adorable, I love them! Love your tags. That would be so cool to win this cartridge because today is my nephews birthday He is 22 today and he always loved playing in the snow at least when he was little. Love the cute gift tags. You inspire me so much to do this type of stuff So thank you for that! Emma these are super cute!! I think your favorite tags are the adorable little snowman and the cute little christmas trees... probably because they are MY favorites (plus it seems more your style). I have been LOVING the 12 Days of Christmas.. thank you so much! I think your favorites are the snowman and the tree. All are beautiful. I will have to make my gift tags soon. You love the tree and the snowman. All the tags are wonderful, but the Christams trees are my favorite. I need to make this Kute tags!! I love your job!! FABULOUS!! I know your favorites ones are the snowman and the tree!! lov you Emma!! Good Morning Emma... As always ur my first stop in the morning Blog line up =)!!! I loved all of the tags.. I think your faves are the Snowman tag and the tag with the little "gnomish" looking santa.. I'm gonna say your favorites are the cute tree one(love the rhinestone ornaments!) and the snowman one, all because you used polka dot ribbon! Love them all Emma, they're all cute! I think your two favorite tags are the Christmas tree and the snowman. You love polka dots and you can't live without your white pen:) Thanks for the opportunity to win! Beautiful work Emma! I love stopping by your blog and seeing the wonderful things you create. I think your two faves are the Christmas trees and snowman! I know they're DEF my two faves! Beautiful tags! I think your favorite tags are....The Peachy Keen Snow man ( I feel confident with that choice) the second I'm not so sure so I am going to say the "25th"
I think you fav gift tags are the same ones that I would choose, and they are The tree tag and the Snowman... great tags, love them!! Thanks so much for the inspirations and the opportunity to win!! Awesome gift tags Emma. Love the little snowman, he's my favorite. All your tags are ardorable...The two tags that I think are your favorite are the snowman tag and the cute tree tag. Thanks for the chance to win. You just inspire me with all your projects. You are so awesome. Thanks! i can't believe you make such cute things every day! 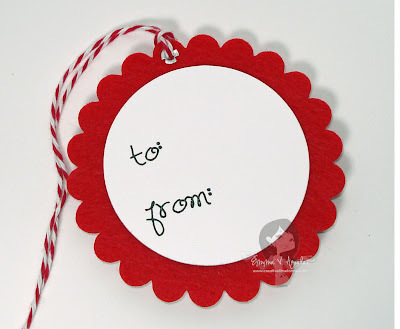 I was thinking about making some of these cute gift tags. Thank you. All the tags are so adorable! TFS! I think your favorite is the snowman tag. I love them all but I think my favorite is the foam one!! They are all adorable but I bet your favorite are the one with the trees and the to: from tag? Adorable, these would also make cute tree ornaments. I am really enjoying your 12 days of Christmas.. I think your favorites are the ones with the tree and snowman because you like the tag shapes. These are just adorable! Well since the snowman and tree have polka dots, it would have to be those two! Emma these tags are adorable!! The snowman one is my favorite. I think your two favorites are the trees and the snowman that you made with your gypsy girl. Thank you for sharing your amazing talent with all of us. Hi Emma!! Well, that is not a hard question for your followers anymore!!! of course the ones with polka dots!!! Very cute gift tags. Love how original they are. They are their own work of art. 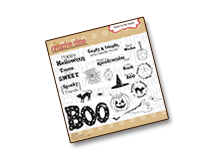 Also your favorite has got to be the snowman...both poka-dots and Peachy Keen stamps....gotta love it. I think your 2 favs are the tree and snowman. They're my fav too. They're all beautiful. I love these adorable gift tags! I think your two favorites are the snowman and the tree. I'm guessing the snowman and the tree. Because you put them first. But probably also because they are the 2 I like the most. :) They are all cute. These are adorable! I think your faces are the snowman and the felt snow flowers tag. I love them all. Thanks for the opprotunity to win this cute cartridge. I think your 2 favorites are the trees and the snowman tag just because they have polkadots and the white pen stitching. You have inspired me to make my own tags. Too cute. You have absolutely done it again! Your tags are out of this world!!!! I love the shapes and can't wait to give it a go. Thanks for sharing and the opportunity to win. LOVE all the inspirations I am getting! 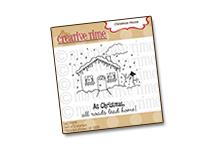 I'm guessing that your favorite two are the tree and snowman tags...because they have polka dot ribbon and white pen stitching!! :-) TFS! Oh Emma I just love these tags!!! What a lovely idea I think I need to make some of these for my boys gifts! Thank you for inspiring me to think outside the box I love your videos and more so your projects!! Oh my gosh. These are adorable! My favorite is the snowman and then the foam and felt with santa! Super cute! Wish I was getting one of your homemade tags! Beautiful tags! I think your favorites are the trees one and the snowman one! They are my favorites too! Oh dear, how could I choose, but let me see....your favorite would be the trees and snowman??? ?Thanks for sharing you creativity and inspiring my imagination. Very cute tags Emma. Can't wait to see the next 5 days of projects. OMGosh Emma...these are sooooo cute!!!!!!!! All of them!!! I liked that you showed us different materials!!! Would sooo love to win that cart, as I love the snowman & the trees as well!!! They are ALL so cute, it would be hard to choose. I think, though.... if I had to guess, it would the "Cute Tree" and the "Snowman with the Peachy Keen face"..... probably because those are my two favorites...haha! Emma, I think your two favorite tags are the tree and snowman gift tags because they both have polka dot ribbon and were both made using the gypsy. Two of your favorite things were used - the gypsy and polka dots. I love all of the tags! Thanks for sharing and for the opportunity to win the Winter Frolic cartridge. I would love love love to win this cartridge! I just added the blinkie for the 12 days to my blog. All your tags are great my I really like the snowman and the snowflower tags. Thanks for a chance to win. The tags came out adorably!!! I just love them!! I think that the first two tags are your fave! The first one cuz the papers are so cute and you used your favourite irock! 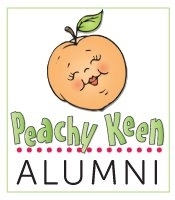 The second one cuz you got a chance to use the super adorable Peachy Keen stamps!! Loving them! Those are super cute. I think your 2 favorites are the gnome santa and snowman. Love their faces. Thanks for sharing. Cute tags :) They are all so cheerful with the different colors!! They are all adorable. I think the Snowman and the trees are your favorites. These tags are so cute! I bet you had a hard time picking 2 favorites, they all are my favorite! But my guesses are the snowman and then the foam and felt one with santa on it. 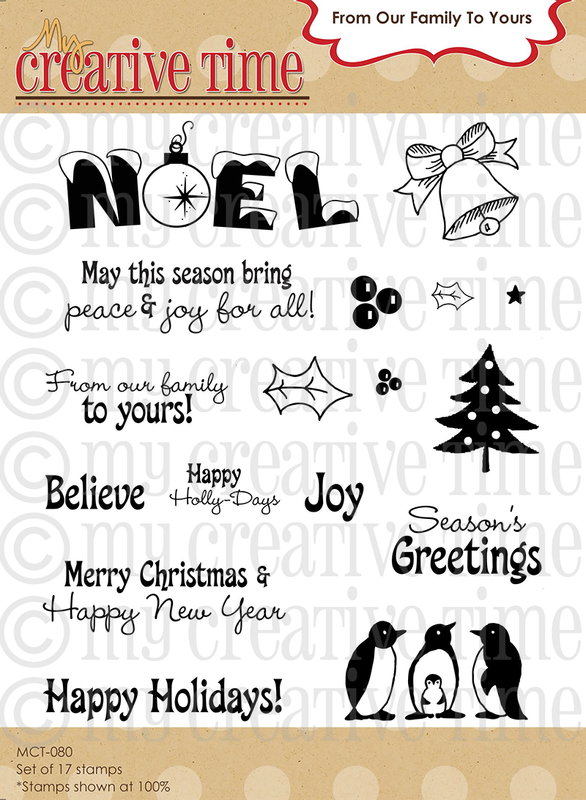 Emma, these are so cute:) I think your favorites are the Christmas Trees and the Snowman because they have ribbon with polka dots and they both have Peachy Keen Stamp Faces:) You should ask a harder question!!! wow these are amazing!!! i'm gonna guess that your fav 2 are the Christmas Trees.. and the Snowman! cute, cute, cute, and more cute! love these tags. I think the trees and the santa. They are all cute. I still need to make mine for this year. LOVE these!! I think your 2 faves are the Christmas tree (my fave atleast :) ) and the Felt with Snow Flowers. Thanks for sharing! ADORABLE!!! OMG...I want to go create a few tags right now!!! They are all really wonderful..and I'm guessing that your favorites are the Snowman...and the foam and felt tag with the Imaginisce Santa!!! Those are my favorites too! OMG..so inspired right now..thanks so much! These are very pretty. I'm working on making tags today too. But nothing like this. These are all just to cute!! I think your favorites are the Christmas Trees and Snowman. Both have polka dots and white gel pen stiching. Emma all the tags are so adorable. I think your "2" favorite tags are the snowman gift tag and the tree gift tag. Thank you so much for sharing. Love all the tags!!!! My Fav. is the snowman he is soooo cute!!!! Thanks for the chance to win!!! Amazing! I would have to say your favs are the snowman and the one that has the foam back. These are precious tags!I like em all, but I'm thinking ur favs would be the lil gnome santa with tree and of course the snowman with the PK facey face! I have to say that I love all your gift tags!!! Now the hard part, picking your favs!!! I say the Tree Gift Tag.... just because it's so fun & festive! 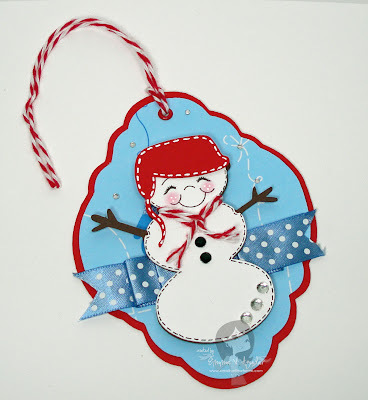 And, the Snowman Gift Tag.... because that snowman is too adorable not to just love! HI Emma~ these tags are fabulous. the snowman & the Christmas trees because they contain all your favorite elements of polka dots, stitching & bling. Love catching up with your beautiful creations. Your videos are so wonderful. Thank you. You favs' have to be those two with the poka dots ribbon. You love POKA DOTS, Am I right? Love your tags Emma. Great job as always! The snowman and the Christmas tree tags are the best. Where do you find all the time to make all these things. I need more time, and more energy, to get everything done. Help! I love tags! Yours are so cute Emma. 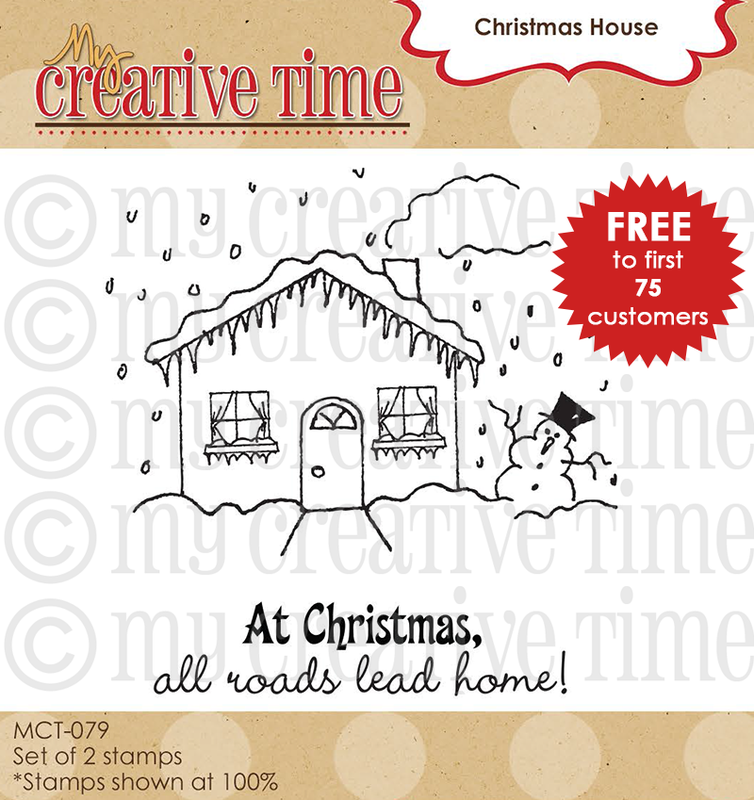 I love the first one with the Christmas Tress and the snowman, but what a great idea to use felt. Thanks for all your wonderful inspiration. I think your favorite tags are the snowman and the Christmas trees. They are all so nice! Thank you for sharing. THESE ARE TOO CUTE. I would guess the snowman and the felt one. 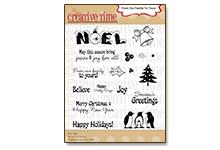 The snowman tag is your fave! Emma - you're fav would have to be the cutie snowgirl with the cute face from Peach Keen. However, they were all such cuties. 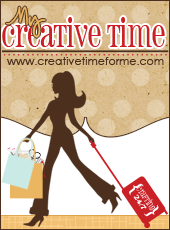 Your 2 favorite tags are the CUTE tree GIFT TAG and the Snowman GIFT TAG - gotta love those polka dots!!! I love all of your tags-too cute!! !